One of the main premises behind translation tools is an increase in speed. The trick with any tool though is that in order for it to make you more productive, you’ve got to learn how to use it. That’s one of the main reasons we offer free training when you purchase. The faster you learn how to use our tool, the faster it will…make you faster. In these training sessions we discuss pretty much anything you want. The sessions are one-on-one with a trainer, in most cases, so we can do that. The problem is that the sessions usually revolve around high level training – here’s the TM, here’s how to use it, etc. Unfortunately, the lower level stuff is often where the real speed increase is. So here are a few of the things you should know. First, keyboard shortcuts. These are invaluable. This is true both for Fluency and for Windows in general. the Windows key + D minimizes all of your windows at once. Windows key + E opens an explorer window. Windows key + R opens a run window that you can start any program from. In Windows 7, moving a window to the top of the screen will maximize it. Moving it to the left or right will set up a 50% side-by-side view with another window. Shaking the open window will minimize all the other windows. A lot of your probably already knew these. In Fluency, maybe you’re not as familiar with the shortcuts. The whole list of pre-defined shortcuts can be found under Help > Keyboard Shortcuts. You can also assign key combinations to particular characters in the preferences menu. Some pre-defined shortcuts you might useful: CTRL + M will merge the current sentence with the next one. CTRL + # will change the active pane (1 = source text, 2 = target preview, 3 = target text, 4 = glossary). Keying up and down in the glossary pane will initiate the extended glossary search for whatever word is selected, and enter on the selected word with put it in the Target text and let you continue translating. Enter and CTRL + Up or Down will move you from segment to segment. CTRL + W sequentially copies a word from the source for that segment. CTRL + G will initiate a terminology lookup on characters from the last space up to the cursor and let you auto-complete from the list. There are a lot more, so I recommend looking them up and printing them out for quick reference. Second, Regular Expressions can come in quite handy, not only in Fluency but in dealing with documents in general. Say you get a document that has been converted from a PDF that you import into Fluency and you come to find out that the “columns” that it shows are just fake – they end with new line characters. Which, of course, makes the segmentation very bad. What do you do? Well, open the document in Word and do this find and replace – “^13([a-z])” replace with ” \1″ (Word’s wildcard characters are not your “regular” regular expressions. In any other software, “\n([a-z])” would be your search string). These expressions are often not perfect but do a much better and quicker job than you going through and trying to find problems manually. The “\1” above is a capture group which preserves your original text when you are doing a find and replace. Without it, you would not know what to replace the [a-z] with and the search would be useless. Fluency has capture groups available in its Find/Replace function as well. Regular Expressions give you the flexibility to look for a term that could have any number of morphemes appended to it, so they are available in various other areas in Fluency besides Find/Replace. Third, a comparison tool lets you see how a document has changed from a previous revision. Fluency has a TM profiling tool that shows you the number of x% matches in a document, but sometimes something with a little more granularity can be helpful. I’m sure most of you are familiar with Word’s Track Changes ability which can be useful for editing but can often get messy. There are many free comparison tools that will show you changes from a revision of a document, but the best that I know of is Beyond Compare. It’s not free, but it only costs 30 dollars and it has a lot of flexibility that other free tools don’t. It can’t do PowerPoint or Excel that I know of though. For comparing those, you can try WinMerge which has a PowerPoint plug-in, I’m told, or DiffDoc which I’ve used myself but that costs $400 dollars. Lastly (ironically, right? ), take a look through the Help manual. You might find a function or two that you really could use and hadn’t thought about, or something you wanted that you didn’t think was available. Often, the documentation/help is a last resort, and we believe to use Fluency, you shouldn’t need to spend an hour reading how, but in order to make use of some of the more advanced/complicated features in any software, a quick glance over the Help file can’t hurt. 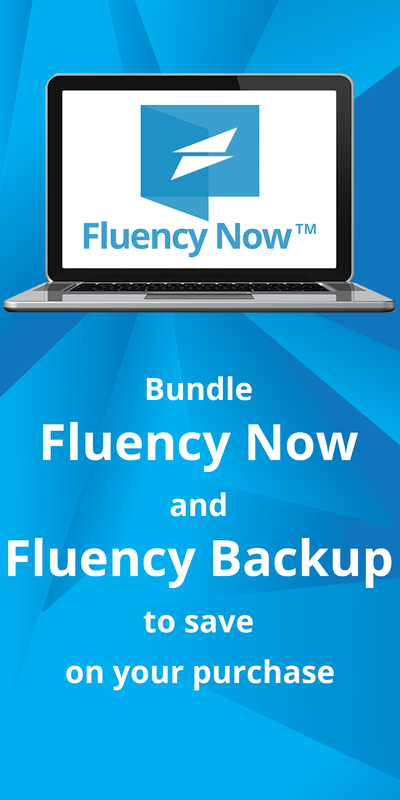 As always, if you want something to speed you up in Fluency, let us know! We often add features for translators (usually weekly) that help with their processes and speed them up. And while we continually try to innovate, we can’t help with your specific situation if we don’t know what you need.